Getting Your Portrait Painted Is Trendy Again! How exciting to see this article in Bloomberg! I think it's about time. There are so many talented artists that are out there struggling to make a living and this could be just what they need to support themselves without Gallery representation (I'll soon post about my thoughts on representation another day). Portraiture has a long history and it was the Egyptians who began the era of using portraits as a way to posthumously represent their dead. I hope this article begins a new era where original portraits take center stage. A renaissance! 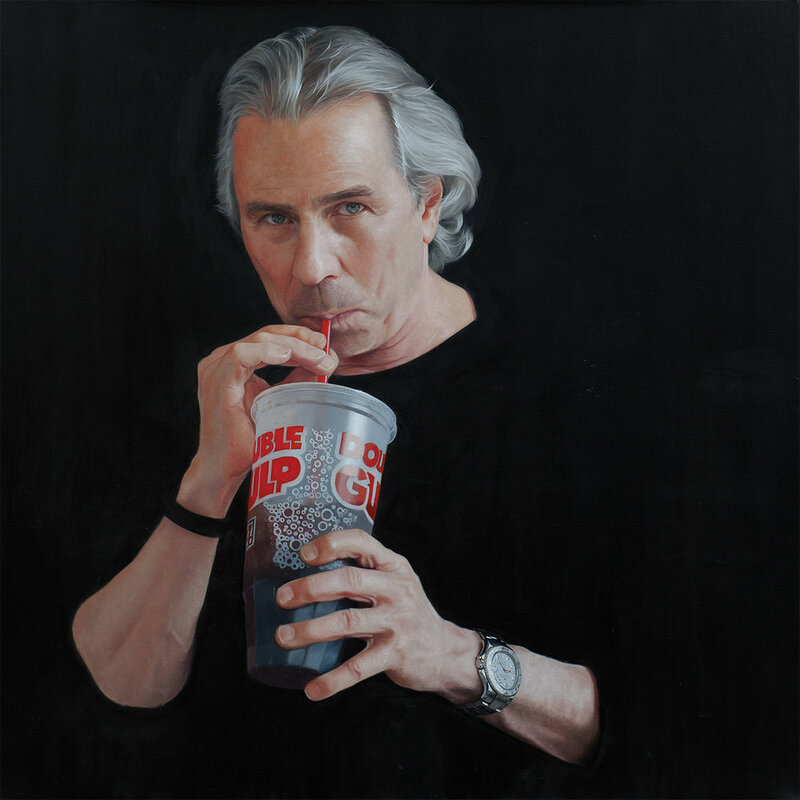 Below is a portrait I did of Howard Tullman, a renowned collector from Chicago. I approached him and he loved the idea of a portrait showing his bad habit of drinking too much Diet Coke. It was an original and humorous approach to portraiture that represented his personality as uniquely his own. So if you are looking to commission a portrait that is unique like his, check out my work and give me a call at 845-233-0082. You can also visit my commission page that has more information about the process and a few of the paintings I've done. My clients will be delighted to talk to you about how it was to work with me.